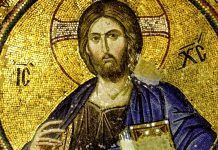 By Brian Chilton| Individuals may find it interesting that there exists a general consensus among biblical and historical scholars concerning certain events in the life of Jesus of Nazareth. One may find it even more surprising that there is a general consensus among said scholars concerning the resurrection of Jesus of Nazareth. Gary Habermas and Mike Licona have presented what they term the “minimal facts approach” (Habermas & Licona 2004, 46). Minimal facts are those things that which “nearly all scholars hold, including skeptical ones” (Habermas & Licona 2004, 46). Therefore the minimal facts data only presents data that are “strongly evidenced…[and] granted by virtually all scholars on the subject, even the skeptical ones” (Habermas & Licona 2004, 47). 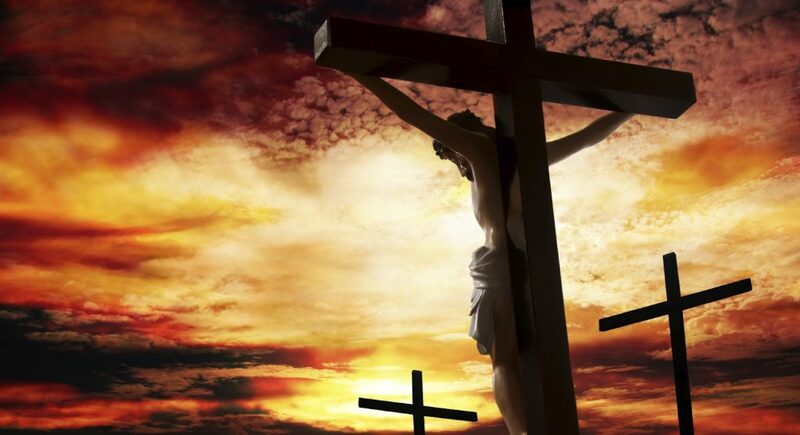 It is universally held that Jesus was crucified under the order of Pontius Pilate. The only individuals who would ever deny this fact are those who are deluded by the “Jesus Myth” ideology (those that hold that Jesus was a fictional character). No serious scholar would deny the existence of Jesus. During a debate with John Lennox, even skeptic Richard Dawkins conceded that Jesus was a person of history (see the confession here). Along with the fact of Jesus’ existence, one must admit that Jesus was crucified under the order of Pontius Pilate. Crucifixion was a torturous form of execution that was implemented by the Romans to quiet rebels and dissenters. Cicero writes that crucifixion was “that most cruel and disgusting penalty” (Cicero, Against Verres 2.5.64). 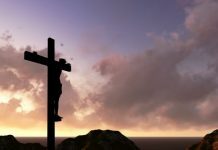 The fact that Jesus was crucified in this manner is attested by the fact that all four gospel accounts proclaim that Jesus died in this fashion. Matthew writes, “Then [Pilate] released for them Barabbas, and having scourged Jesus, delivered him to be crucified” (Matthew 27:26). 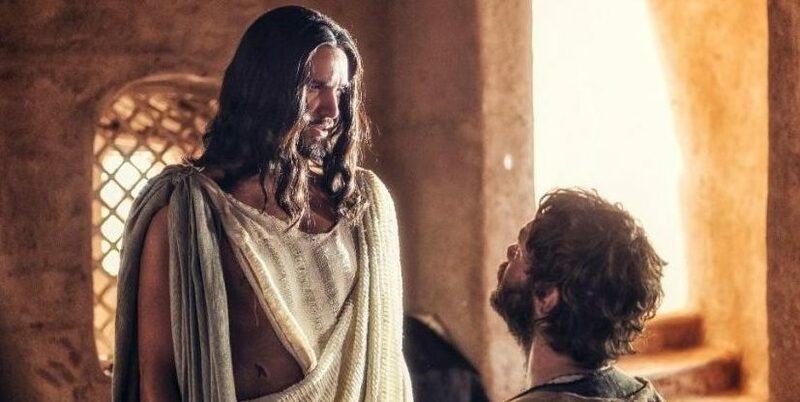 Mark writes, “So Pilate, wishing to satisfy the crowd, released for them Barabbas, and having scourged Jesus, he delivered him to be crucified” (Mark 15:15). Luke writes, “So Pilate decided that their demand should be granted. He released the man who had been thrown into prison for insurrection and murder, for whom they asked, but he delivered Jesus over to their will” (Luke 23:25). “That he was crucified is as sure as anything historical can ever be” (Crossan 1991, 145). It is for this reason that Jesus’ crucifixion is one of the minimal facts. 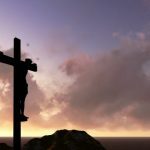 As surprising as it may sound, Habermas and Licona write, “There is a virtual consensus among scholars who study Jesus’ resurrection that, subsequent to Jesus’ death by crucifixion, his disciples really believed that he appeared to them risen from the dead” (Habermas & Licona 2004, 49). Again, all the gospels present Jesus as risen from the dead. While the authenticity of Mark’s ending after 16:8 is disputed, Mark still presents Jesus as risen and assumes that Jesus would…and in fact did…meet with the disciples after the resurrection. 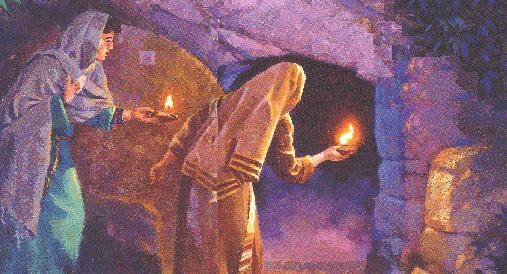 For instance, Mark writes that the messengers of God told the women at the tomb, “Do not be alarmed. You seek Jesus of Nazareth, who was crucified. He has risen; he is not here. See the place where they laid him. But go, tell his disciples and Peter that he is going before you to Galilee. There you will see him, just as he told you” (Mark 16:6-7). So even if Mark’s longer ending is not authentic, the first 8 verses of Mark still presents Jesus as risen from the dead and that He would appear to the disciples. Since Mark is writing after the fact, Mark implies that Jesus did in fact meet with the disciples. Perhaps the most important biblical creed that supports the resurrection is found in 1 Corinthians 15:3-7. The creed dates back to the time of Christ. The creed states that “Christ died for our sins in accordance with the Scriptures, that he was buried, that he was raised on the third day in accordance with the Scriptures, and that he appeared to Cephas [Aramaic term for Peter], then to the twelve. Then he appeared to more than five hundred brothers at one time, most of whom have fallen asleep. Then he appeared to James, then to all the apostles” (1 Corinthians 15:3-7). “Christ therefore was sent forth by God, and the apostles by Christ. Both these appointments, then, were made in an orderly way, according to the will of God. Having therefore received their orders, and being fully assured by the resurrection of our Lord Jesus Christ, and established in the word of God, with full assurance of the Holy Ghost, they went forth proclaiming that the kingdom of God was at hand” (Clement of Rome, “First Epistle of Clement to the Corinthians,” XLII). Therefore, Clement provides additional evidence for the appearance of Jesus to the disciples. 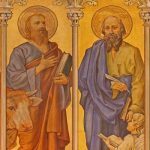 That is why that the apostles’ belief that they had seen the risen Jesus is a minimal fact agreed upon by the majority of New Testament historians. 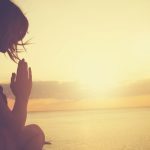 “IT MAY BE TAKEN AS HISTORICALLY CERTAIN THAT PETER AND THE DISCIPLES HAD EXPERIENCES AFTER JESUS’S DEATH IN WHICH JESUS APPEARED TO THEM AS THE RISEN CHRIST”. For more on this, here is an article containing 38 scholar quotes on the resurrection appearances of Jesus. 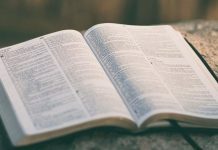 While one may wonder what Paul has to do with the resurrection of Jesus, when one understands the reason behind Paul’s transformation, one will understand its association. Paul was a well-educated Jew. 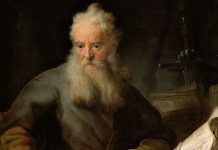 Paul said that he had lived “according to the strictest party of our religion I have lived as a Pharisee” (Acts 26:5). Paul even said that he was “circumcised on the eighth day, of the people of Israel, of the tribe of Benjamin, a Hebrew of Hebrews; as to the law, a Pharisee; as to zeal, a persecutor of the church; as to righteousness under the law, blameless” (Philippians 3:5-6). Yet, something happened to Paul. Instead of persecuting the church, Paul was an advocate for the church. It all changed due to Paul’s experience with the risen Jesus. 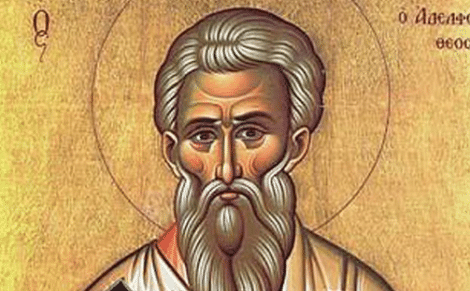 Paul’s transformation, says Habermas and Licona, is “well documented, reported by Paul himself, as well as Luke, Clement of Rome, Polycarp, Tertullian, Dionysius of Corinth, and Origen. Therefore, we have early, multiple, and firsthand testimony that Paul converted from being a staunch opponent of Christianity to one of its greatest proponents” (Habermas & Licona 2004, 65). The evidence is also found in the establishment of several churches by Paul. For this reason, Paul’s conversion after having claimed to have seen the risen Jesus is listed as a minimal fact. Like the third minimal fact, the fourth minimal fact concerns the conversion of a skeptic turned believer. 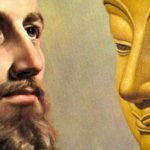 James was one of the brothers of Jesus. John records that the brothers of Jesus did not believe in Jesus during Jesus’ earthly ministry. John writes, “For not even his brothers believed in him” (John 7:5). Yet, James became a believer and a strong, influential leader of the early church. The early creed in 1 Corinthians 15 lists James as one who had encountered the risen Jesus. 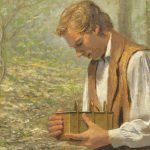 James is listed as an early church leader. For Paul writes of his trip to Jerusalem, “But I saw none of the other apostles except James the Lord’s brother” (Galatians 1:19). James would believe strongly in the Lord Jesus. James even writes that “For as the body apart from the spirit is dead, so also faith apart from works is dead” (James 2:26). James’ works would prove that his faith was very much alive as he was eventually martyred. Habermas and Licona report that James’ “martyrdom is attested by Josephus, Hegesippus, and Clement of Alexandria” (Habermas & Licona 2004, 68). James’ conversion was so strong that it is listed as an indisputable minimal fact. 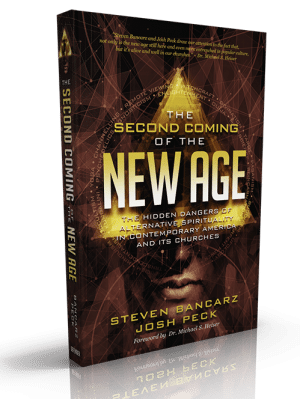 For more evidence of his radical conversion, here is an article covering this topic more fully. “roughly 75 percent of scholars on the subject accept the empty tomb as a historical fact” (Habermas & Licona 2004, 70). Habermas also reports that “There were apparently reports in Palestine that caused the emperor to issue an exceptionally strong warning against grave robbing, which was punishable by death (Nazareth Decree)” (Habermas 1996, 185). Not only does archaeology imply an empty tomb, the Bible states that there was an empty tomb. Mark writes that the angel said, “He has risen; he is not here…And they went out and fled from the tomb” (Mark 16: 6, 8). John also reports that “Simon Peter came, following him, and went into the tomb. He saw the linen cloths lying there, and the face cloth, which had been on Jesus’ head, not lying with the linen cloths but folded up in a place by itself” (John 20:6-7). Therefore, the biblical evidence strongly supports an empty tomb. yet you not only have not repented, after you learned that He rose from the dead, but, as I said before you have sent chosen and ordained men throughout all the world to proclaim that a godless and lawless heresy had sprung from one Jesus, a Galilæan deceiver, whom we crucified, but his disciples stole him by night from the tomb, where he was laid when unfastened from the cross, and now deceive men by asserting that he has risen from the dead and ascended to heaven” (Justin Martyr, Trypho, CVIII). Since archaeology, biblical, and non-biblical records support the empty tomb, in addition to the tradition that Constantine’s mother Helena successfully found the tomb which was still venerated by Jerusalem Christians despite Rome’s defilement of the site, provides a strong case for the historicity of the empty tomb, thus making it one of the five minimal facts supporting the resurrection of Jesus. A great deal of consensus exists for these five facts concerning the resurrection of Jesus. This does not necessarily indicate that something is correct, because at one time consensus held that the earth was flat. 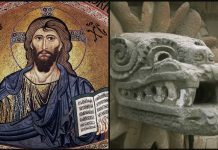 However, scholarly consensus along with the archaeological evidence, and biblical and non-biblical references that were provided provided presents one with a strong case for the authenticity of the resurrection of Jesus of Nazareth. It is in my opinion that the resurrection itself is one of the most verifiable historical events of antiquity. If the resurrection is true, then there is great hope that our deaths do not serve as the end of our history, but the exciting beginning to a new level of existence…that is, if one has faith in Jesus of Nazareth. All Scripture, unless otherwise noted, comes from the English Standard Version. Wheaton: Crossway, 2001. Clement of Rome. “The First Epistle of Clement to the Corinthians.” In The Apostolic Fathers with Justin Martyr and Irenaeus, Volume 1, The Ante-Nicene Fathers. Edited by Alexander Roberts, James Donaldson, and A. Cleveland Coxe. Buffalo, NY: Christian Literature Company, 1885. Crossan, John Dominick. Jesus: A Revolutionary Biography. San Francisco: HarperCollins, 1991. Habermas, Gary R. The Historical Jesus: Ancient Evidence for the Life of Christ. Joplin: College Press, 1996. _______________, and Michael R. Licona. The Case for the Resurrection of Jesus. Grand Rapids: Kregel, 2004. Martyr, Justin. “Dialogue of Justin with Trypho, a Jew.” In The Apostolic Fathers with Justin Martyr and Irenaeus. Volume 1, The Ante-Nicene Fathers. Edited by Alexander Roberts, James Donaldson, and A. Cleveland Coxe. Buffalo, NY: Christian Literature Company, 1885. This article was originally featured on the website of Brian Chilton and was used with permission from the author. Minor edits were done from original article.